On 7 December 2003 Daniel Morcombe disappeared on the Sunshine Coast, while waiting for a bus. For Bruce and Denise Morcombe - the parents of Daniel - and his brothers, Bradley and Dean, it was apparent within hours that something was very wrong. In the first few days following Daniels disappearance, Bruce and Denise made a promise to their son that they would never ever stop looking for him, and bring who was responsible to justice. We will never give up. As the nightmare of hours became days then weeks, and months and years, the family mobilised to become the moral force behind the longest criminal investigation in Australia's history. Where is Daniel? covers the decade-long investigation into the disappearance of Daniel and the extraordinary courage, dignity, persistence and fortitude Bruce and Denise displayed under unbearable circumstances. This determination also applied to Bruce and Denise's desire to mine something positive from the darkest of experiences. 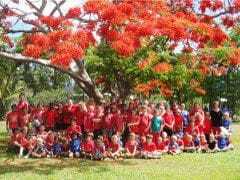 They started the Daniel Morcombe Foundation in 2005, to teach children about safety, and have since visited hundreds of schools around Australia. 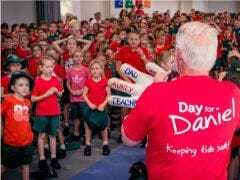 They've established Australia's largest annual child safety day-of-action, Day for Daniel, and utilised the funds raised to support other children who have been the victims of abuse. Over a decade later, with Daniel's killer brought to justice thanks to an amazing covert police sting, this is the family's story. Where is Daniel? is a testament to the enduring power of love between parents and their child, and the strength and bonds of family to survive. Lindsay Simpson worked as an investigative journalist on the Sydney Morning Herald for 12 years.